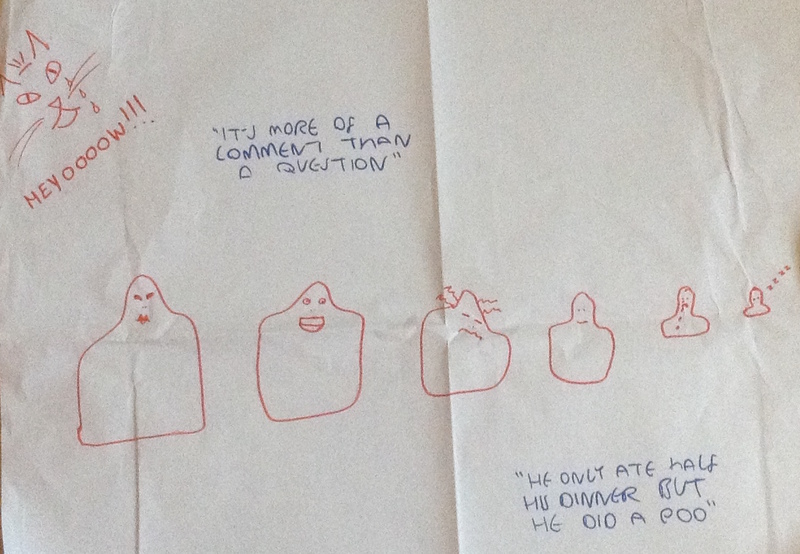 This was an invited workshop at an event on care and careers in geography. The workshop involved a short introduction to the project and a discussion of the ways in which the project resonated with attendees. This was an invited contribution to the Working Parents Network lunchtime meeting, who were interested to hear about the project. This presentation was part of a symposium on inequalities in the academic career and focused on the ways in which international conferences pose more of an issue for academics with caring responsibilities. This presentation was part of a panel on diary method in higher education research, and focused on the benefits and challenges of using diary method to research short-term, intense phenomena. At this event the 'In Two Places at Once' research was positioned alongside presentations on work-life balance and gender and on institutional mechanisms for supporting carers, with the aim of stimulating further discussion and change at UCL. 'In Two Places at Once: Dissemination Symposium', University of Warwick, 12th June 2018. - A presentation to share the findings and recommendations from the project, where the project report and briefing documents were launched. - A panel where academics with caring responsibilities discussed their experiences of attending conferences. - An interactive workshop session to consider how to translate the recommendations into action. - A discussion panel where representatives from academic associations and higher education institutions responded to the issues that arise from the earlier sessions. The symposium was supported by Equality, Diversity and Inclusion at Warwick, Warwick Institute for Advanced Studies, and Centre for the Study of Women and Gender. Project seminar at CHEER (Centre for Higher Education and Equity Research), University of Sussex, 30th April 2018, ‘In Two Places at Once: Time, Subjectivity and the Academic Profession - Caring Responsibilities and Conference Participation’. This seminar focused on the theorisation of time, subjectivity and academia that underpinned the project, and presented findings and analysis. The slides are available here, and a filmed version of the presentation is available here. This presentation focused on the research approach for collecting time-use data at conferences, including the design and implementation of the time-log data collection tool that was developed for the project. This was an invited presentation to share findings from the research project at the forum where equality and diversity managers from Russell Group universities meet to discuss strategies and policies for inclusion. This presentation focused on the findings and analysis from the project that relate to the materialities of care and conferences, in particular practices of checking and using communication devices to enact care remotely. Lunchtime lecture on 8 November for the UCL PACT (Parents And Carers Together) network, London: "‘In Two Places at Once’: Work, Travel and Caring Responsibilities"
To what extent does the concept of ‘professionalism’ allow space for caring responsibilities, in higher education institutions and the workplace more generally? This talk addresses the question of how being at work intersects with ongoing caring responsibilities, in particular for roles where work-related travel is an expectation or obligation. Project workshop at the FWSA Biennial Conference, 6-8 September 2017, University of Strathclyde, Glasgow: "In two places at once: A workshop on conferences and/with caring responsibilities"
This interactive workshop included an introduction to the project, an opportunity to complete the project's time-log research instrument for the FWSA conference, and an activity which involved producing a visual representation of conferences and caring responsibilities. 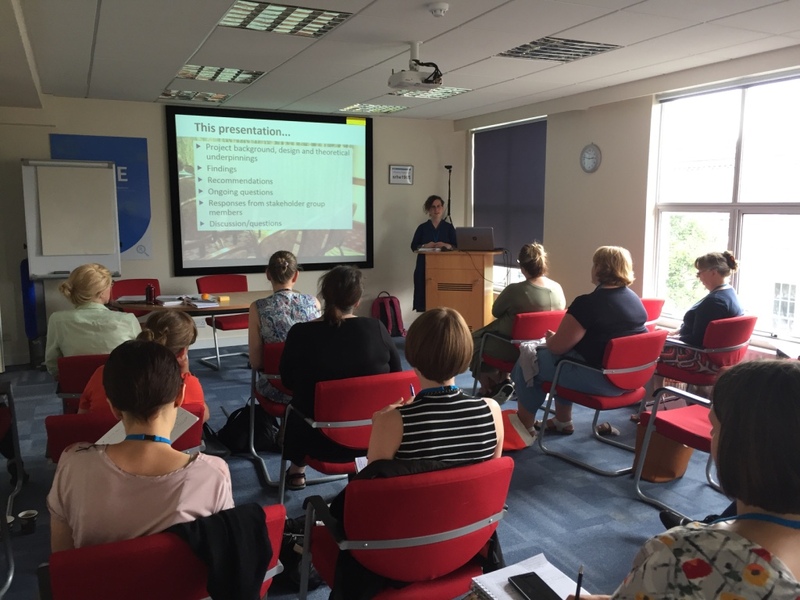 Following lunch and introductions, the event began with a presentation by Dr Marie-Pierre Moreau (Roehampton), who situated the ‘In Two Places at Once’ project in the wider research on academia and care. Dr Moreau is also a member of the Stakeholder Group for the project. Dr Emily Henderson (University of Warwick, project PI) then presented early findings from the project. This was followed by responses from some of the members of the Stakeholder Group, and a discussion.